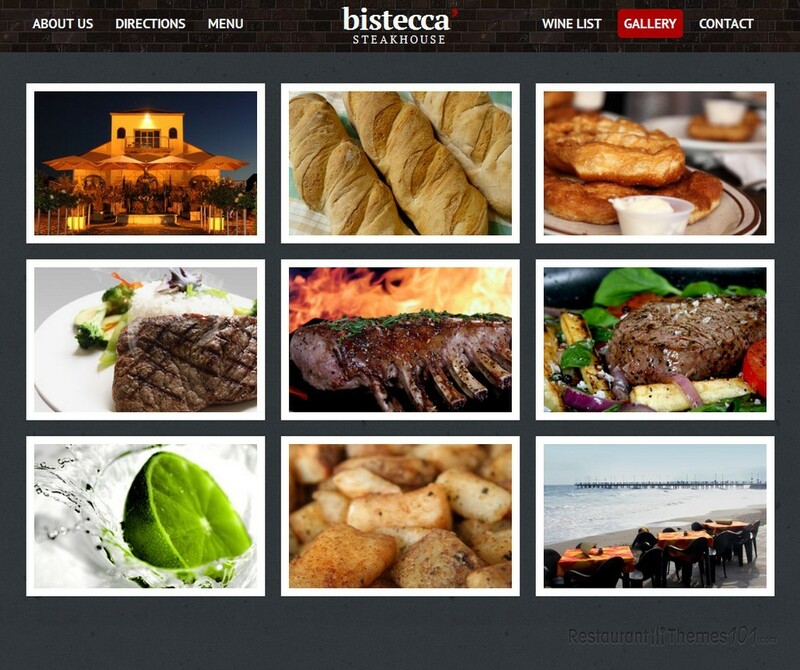 Bistecca is a responsive restaurant HTML5 template created by Simplicix and featured on ThemeForest. 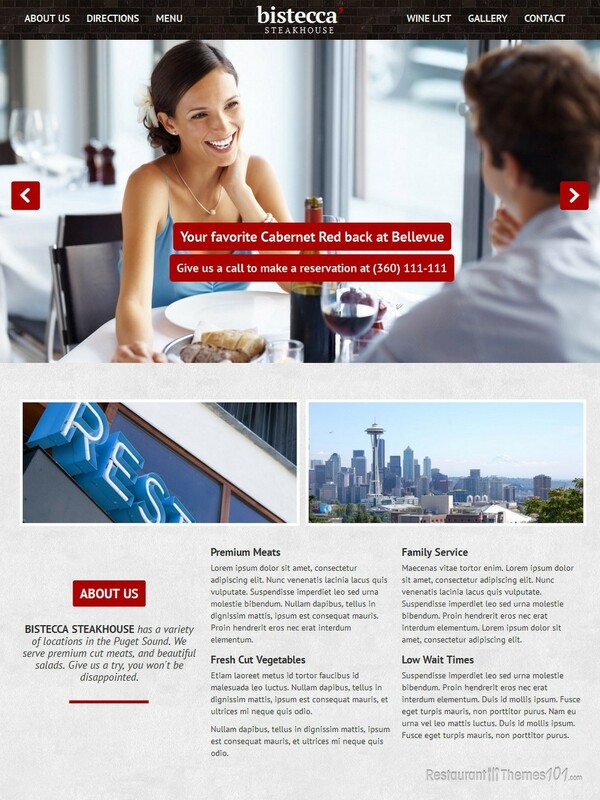 This responsive HTML restaurant theme has a very extraordinary design and several very important features you should check out. Bistecca is a one page template built on Bootstrap. It includes 3 different styles (original, smooth and vintage) and 3 color schemes (red, blue and purple) you can choose from. Smooth and floating parallax sections are included for extra wide screens, and the whole template is completely responsive so you don’t have to worry about your website looking messy no matter what device it is viewed from, including mobile phones and tablets. An AJAX based contact form is included, as well as an AJAX based newsletter with MailChimp support or other email managers. It is very user friendly and it comes with extensive documentation so you can rest assure you will be able to run and modify this theme all by yourself, without the help of a professional. The layout looks beautiful, with a huge full width slider on the homepage, making sure your visitor’s attention is right where it should be: captivated on photos of your delicious meals. There is a very nice categorized menu featured, and a separate wine list. If you want to tease your visitors with mouthwatering photos of your delicacies, you can do it in the gallery section. If you want to introduce your visitors to your restaurant’s history or your staff, or just about anything you could think of, the “about us” section is perfect for this. You can let people know everything there is to know about your place and make them want to come visit you as soon as possible. Social integration was not left behind. You can connect your website to the most popular social networks, including Digg, Tumblr, Twitter, Google+ and Facebook. 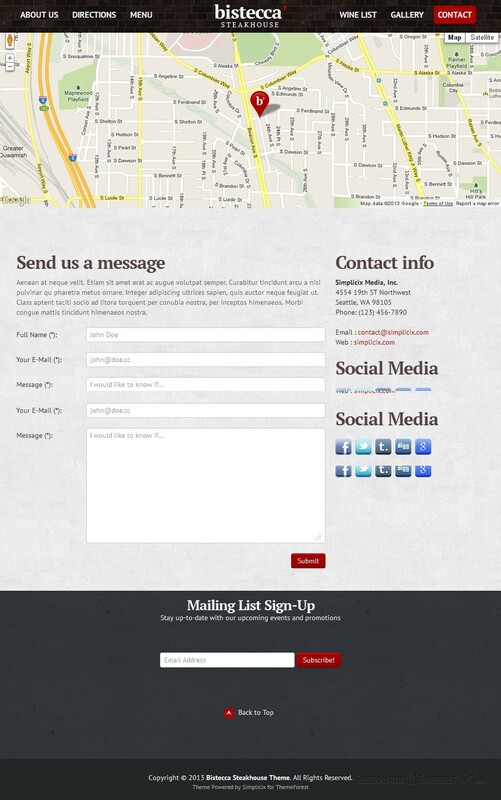 The contact section contains a nice contact form where your visitors can send you messages quickly and easily. 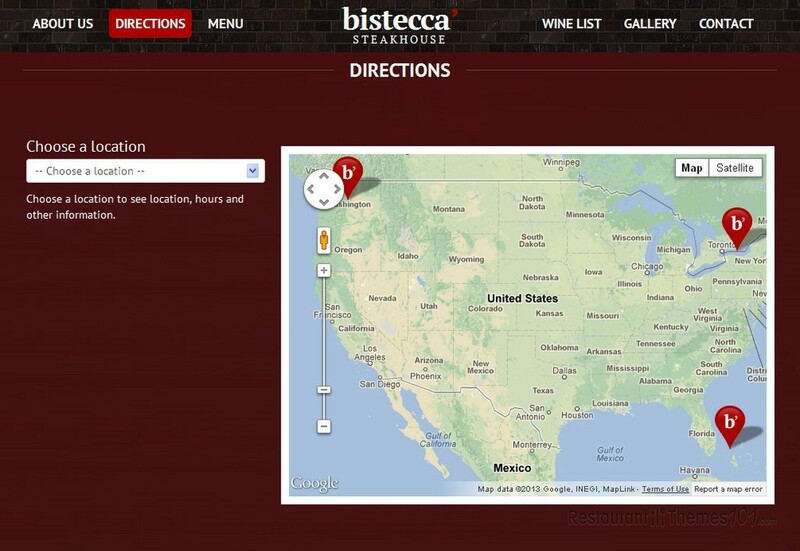 It also features Google Maps integration so you can be sure everyone can find your restaurant with the given directions.